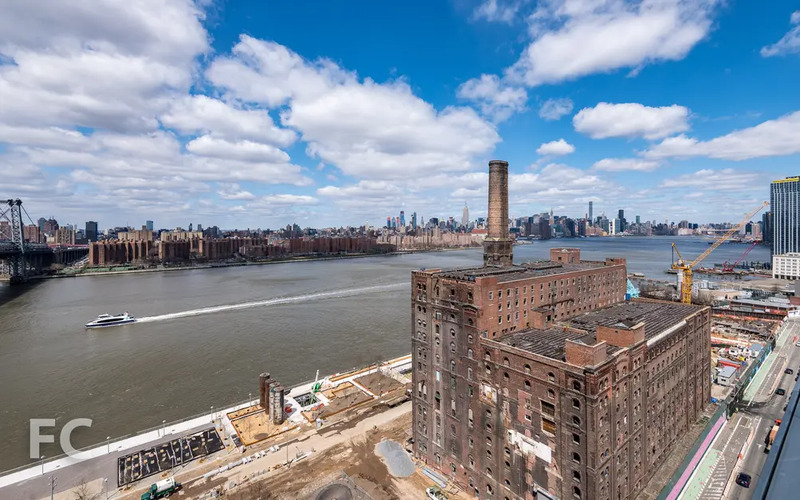 The redevelopment of the Domino Sugar Factory site is at an exciting stage – first new renderings of Domino Park are revealed, now we’ve learned that 260 Kent Avenue, the tallest building in the development, is about to go vertical. Field Condition got some new photos on a site tour, and the whole visit can be seen here. 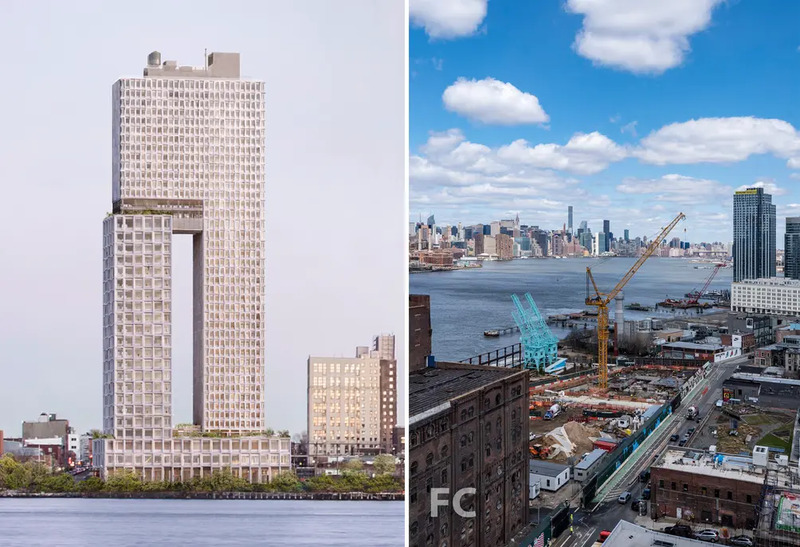 Upon completion, 260 Kent Avenue will bring 330 rental units (more than 20% of which will be earmarked for affordable housing), 150,000 square feet of office space, and 13,000 square feet of retail to the Williamsburg waterfront. 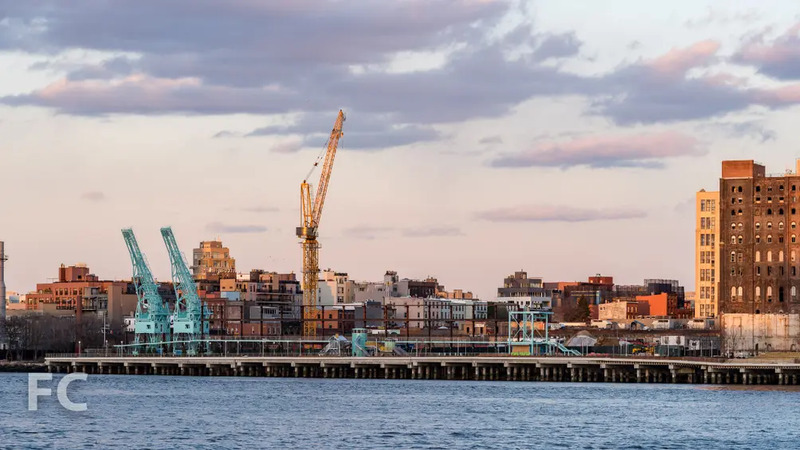 Residents will enjoy sweeping views of Domino Park, the East River, and the Manhattan skyline. 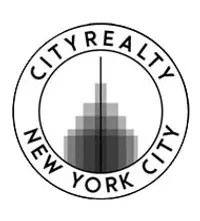 Amenities will include a landscaped sun deck, lounges, fitness center, and pool. 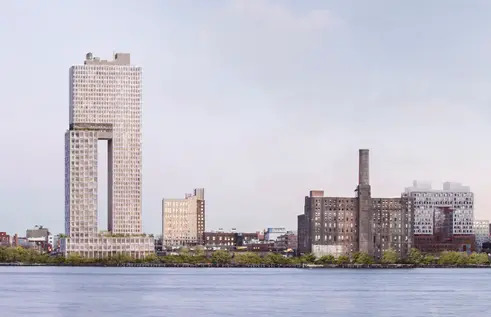 A design by COOKFOX nods to the site’s history with a contemporary façade inspired by sugar crystal structure and another example of the designer’s commitment to both style and substance. The deep façade was designed to self-shade, and each elevation is formed to respond to its specific solar orientation. 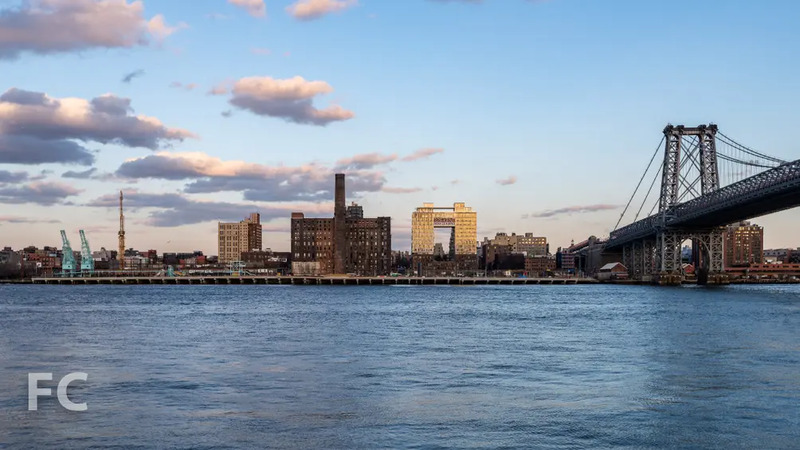 The design will be optimized to reduce energy use for cooling, and excess heat from the office floors will be captured and reused in the residential component. 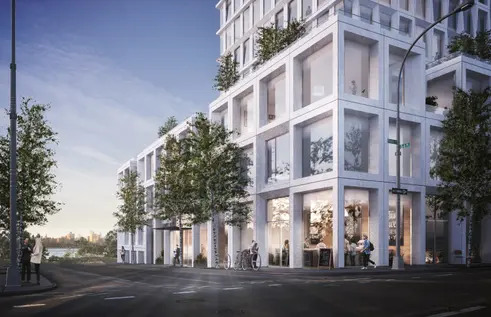 Prices are not yet available for 260 Kent Avenue. 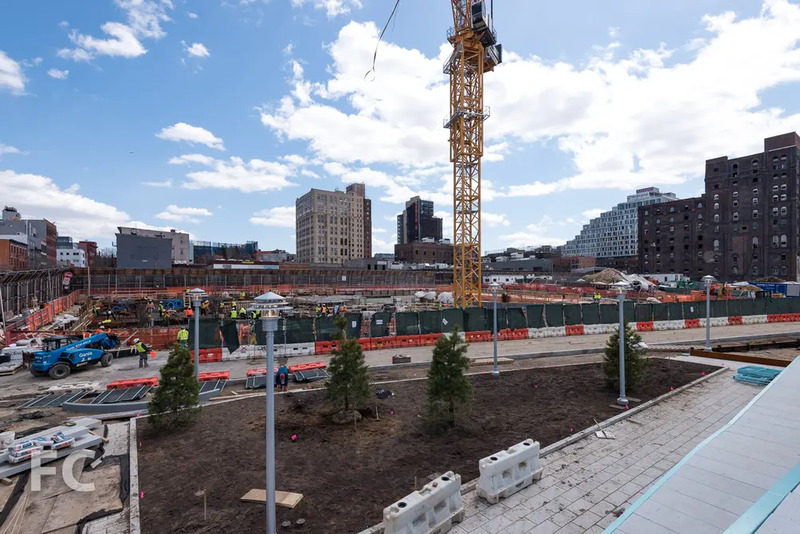 However, if the only completed building in the redevelopment, 325 Kent Avenue, is anything to go on, it will be greeted with great enthusiasm: An affordable housing lottery attracted more than 87,000 applications for 104 units, and a few current market-rate listings start at $2,480/month. 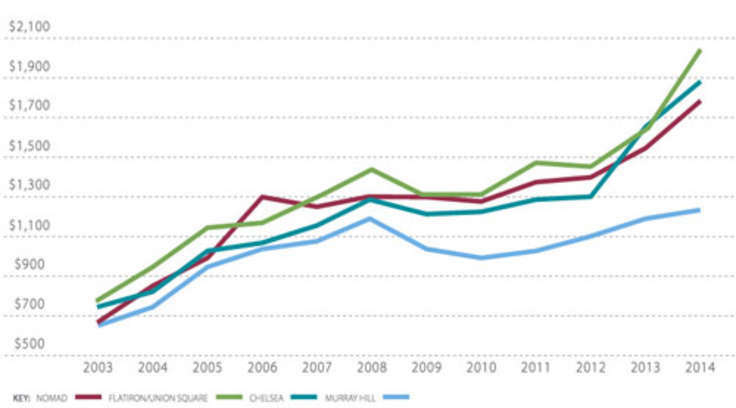 According to CityRealty data, Williamsburg's median rent is $3,198/month.